Best Way Carpet & Tile Cleaning is a family owned and operated carpet cleaning company in Middletown NJ that prides itself in giving our customers the highest level of service and satisfaction. We are not interested in quantity, but quality. We feel so strongly about the service we offer, when we complete our first job with you; we expect it will be the beginning of lasting and trusting business relationship. My name is Robert Cammarato, owner of Best Way Carpet & Tile Cleaning. My business is based out of Middletown, NJ, where I have been a member of the community since 1995. I started my business in Brooklyn, NY in the mid 1980’s while in college, and have enjoyed running my own company since then. With over 25 years of experience, I have been afforded the opportunity to work with some of the top professionals in the industry. In turn, this enables me to offer my customers the highest quality services, use state of the art equipment and cleaning methods, and employ the best trained technicians in the industry today. 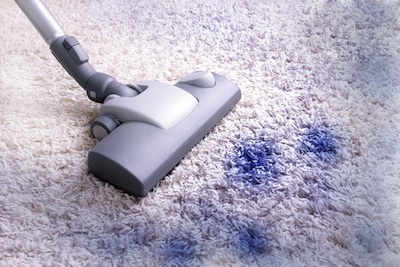 Unlike big box companies, Best Way Carpet & Tile Cleaning does not overextend the daily workload. This enables me and my technicians to spend as much time as necessary to properly complete each floor waxing or carpet, tile and grout and upholstery cleaning job with the highest level of professionalism, service and expertise. Our mission is to have every customer we service feel there isn’t another carpet, upholstery or tile and grout cleaning company in NJ they would rather have working in their home or business.